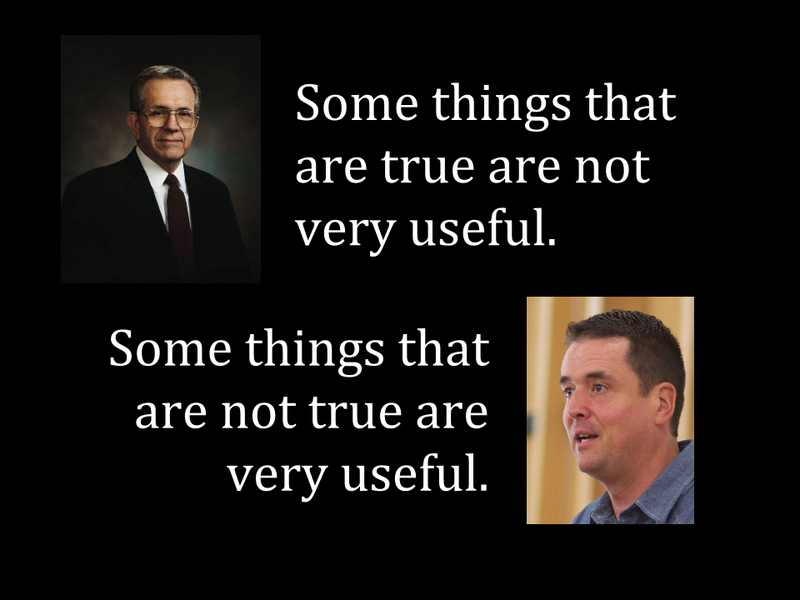 Even if Mormonism is false, it is still worth believing and ought not be refuted. Even if you don’t believe in God, you should still stay on the membership rolls and consider yourself a Mormon. If the LDS Church isn’t true, there is no God. How you live your life is more important than what you believe. I can’t believe in a God who demands worship. It doesn’t matter if it’s true. What matters is whether it is official. I proudly mentally disassociate from the content and implications of my belief system. I know the Church is true. I have no idea what that means. There was a conspiracy to fundamentally corrupt the Bible. 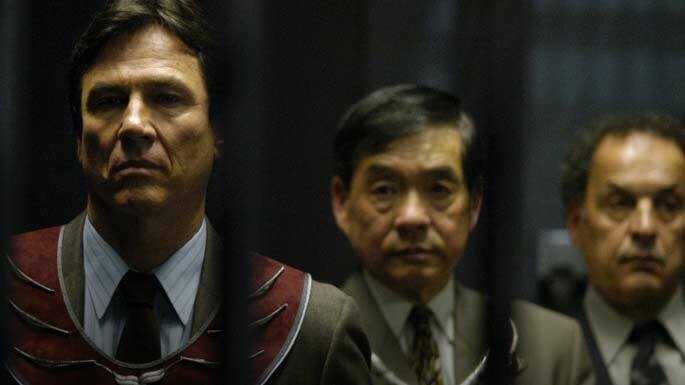 It is untrustworthy and we look elsewhere for truth. Apart from Mormonism, I have no good reasons to believe that Jesus rose from the dead. The existence of my personhood is not owing to any god. Everything is matter and nothing is immaterial. There is no ultimate personal being who is the ground of all other being. There is no first cause. There are impersonal eternal laws that govern everything. If the Church wasn’t true, would you still believe in Jesus? Are you the kind of Mormon that would still believe in Jesus, even if you left the LDS Church? If you weren’t a Mormon, what religion do you think you’d be? What reasons do you have to believe in the resurrection of Jesus that are independent of Mormonism? Is your belief in Jesus on the foundation of your belief in the Church, or is your belief in the Church on the foundation of your belief in Jesus? The religion of Mormonism is hallowing out. The numbers increase on the exterior (although even that is in jeopardy), but on the interior there is a mass-apostasy going on, intellectually and mentally speaking. People are leaving the LDS Church without leaving the LDS Church. Without asking probing questions, I can’t assume any Mormon I talk to even believes in the existence of God or the resurrection of Jesus. 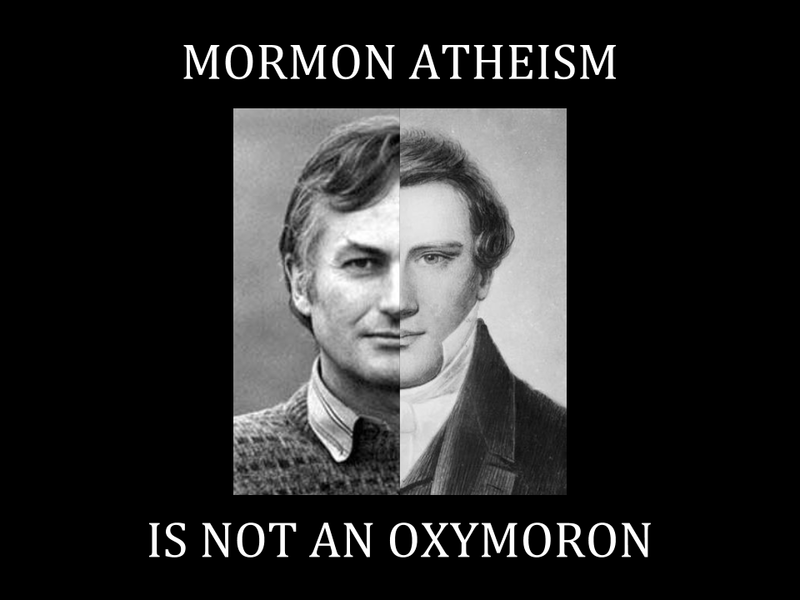 Even the Mormons that aren’t closet-atheists are largely latent atheists (or agnostics) without knowing it. Since evangelism, I take it, is partly to engage the conscience and the depth of one’s heart, I want to reach them where they are really at, even if they don’t quite understand what is going on. Are you reading this blog to better understand how to evangelize your LDS neighbors? Are you feeling inadequate because you don’t know much about Mormonism? How about this for a start: Step through ten reasons to believe in the resurrection of Jesus, ten reasons to trust the Bible, and even ten reasons to believe in the existence of God. Even if a Mormon doesn’t think they “need” to hear it. This entry was posted in Friendship, Interaction, and Evangelism, Truth, Honesty, Prayer, and Inquiry. Bookmark the permalink.